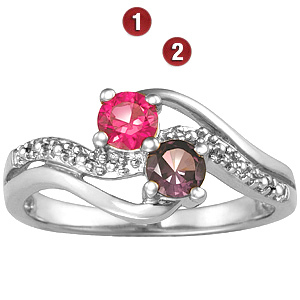 The 10kt white gold Juliet promise ring is set with two 4mm round simulated birthstones of your choosing. This style does not have side accent stones. Import.